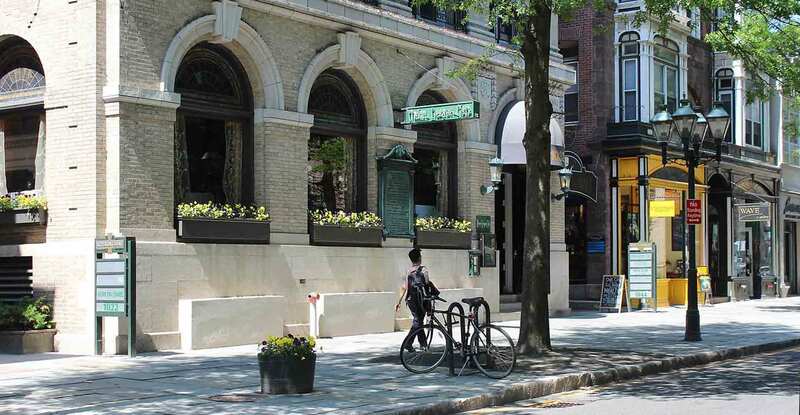 Union League Café, a traditional French restaurant established in 1993, is located in a landmark structure on Chapel Street in downtown New Haven, Connecticut. Kenneth Boroson Architects was retained to design renovations in an effort to refine numerous spaces within the building. 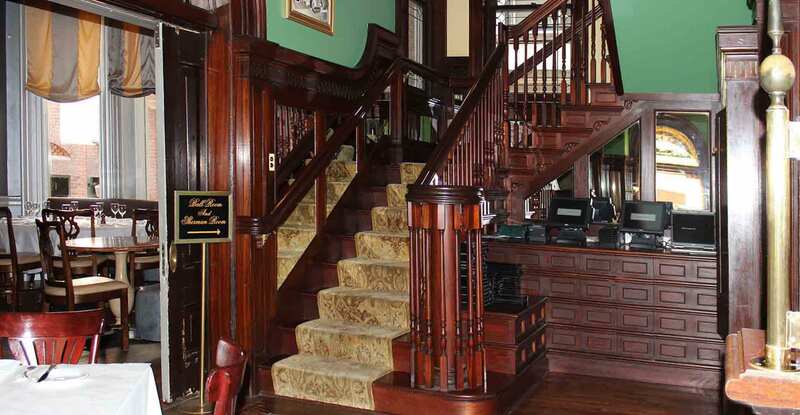 Several design solutions in various locations throughout the first two floors of the restaurant allowed the second floor to become usable banquet space. 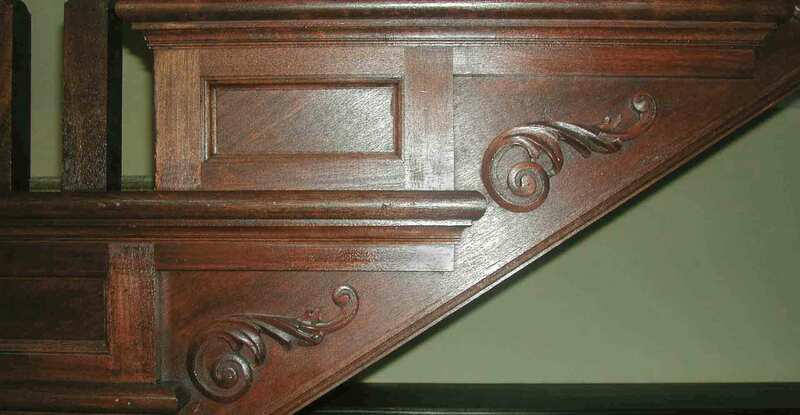 The existing mahogany stair was redesigned, while maintaining the style, materials, and level of detail of the original. 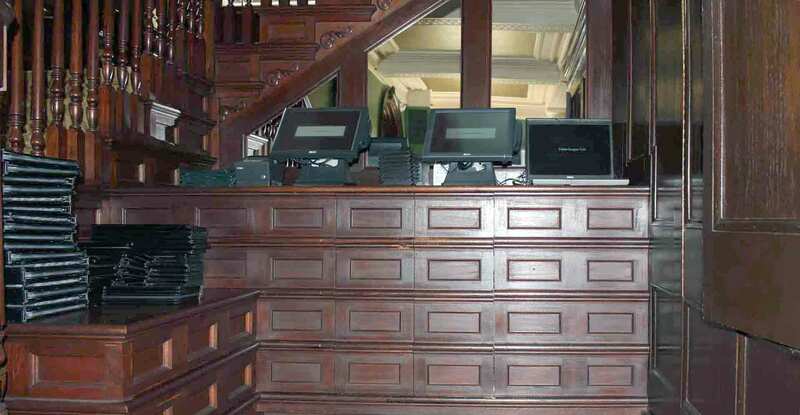 A built-in mahogany console was incorporated into the stair design to create a workstation. At the second floor, an existing glazed partition at the top of the stairs was retained, and a new solid-paneled privacy partition created. 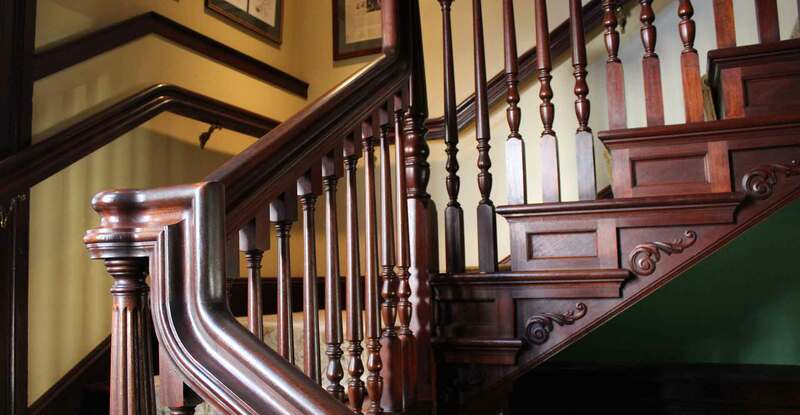 New bathrooms were created, and the existing ladies’ room was transformed into a fully accessible, unisex restroom.